This year has been an extremely busy, yet none the less, exciting and invigorating time for Barry House. House Captain, Isabella Hamblin, has done a fantastic job thus far, guiding the girls beautifully through her dedicated and caring leadership. 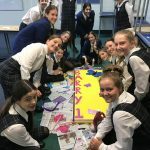 I would like to thank our Year 11 Barry girls for their wonderful contribution and efforts towards this year’s Loreto Day. Their organisation towards the ‘Barry Disco’ and the very popular ‘Barry Hot Chip stand’ was outstanding. 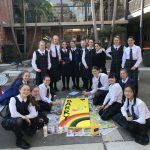 The energy and passion shown by our Year 11s for Loreto Day is testament to the strong leaders these girls are becoming in our community. Towards the end of 2017, our current Year 12 Barry girls devised a list of goals they wanted to implement this year as leaders of the House. 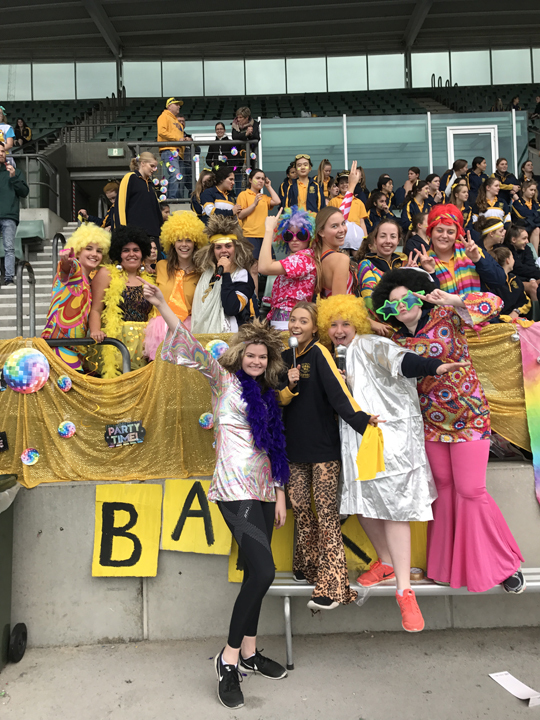 ‘Being proud of who you are and the community you belong to’, as well as ‘fostering a comfortable and caring environment for all and promoting a ‘have a go’ spirit’, are a few of the challenges and aspirations the girls have put forward for this year. Many of our pastoral periods have taken on this theme and there has been a distinct focus on creating a sense of community within the House and within each Tutor Group. 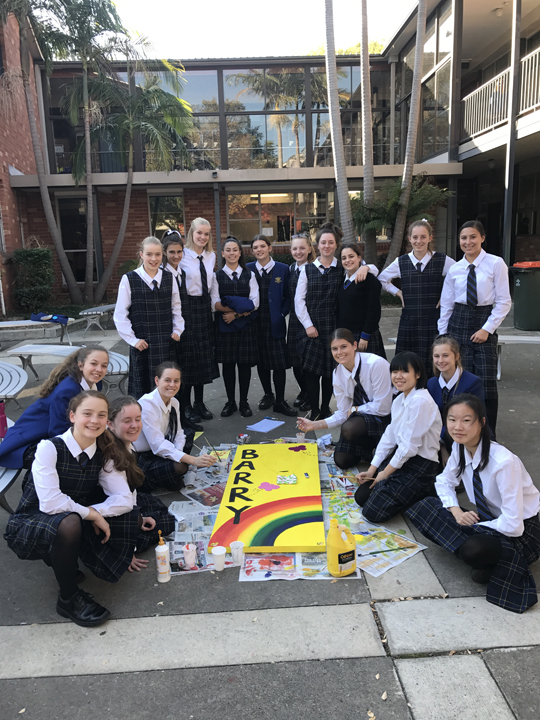 In line with the Loreto Normanhurst Student Growth Model, we know that community is at the centre of our approach and forms an essential part of our FACE curriculum. 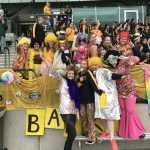 This team building spirit is reflective and a testament to many of our achievements this year, including winning House Choir at this year’s Music Festival, and taking home the glory in Light Entertainment. Various initiatives have been included in House times to help build this sense of community the girls come to rely on so heavily. 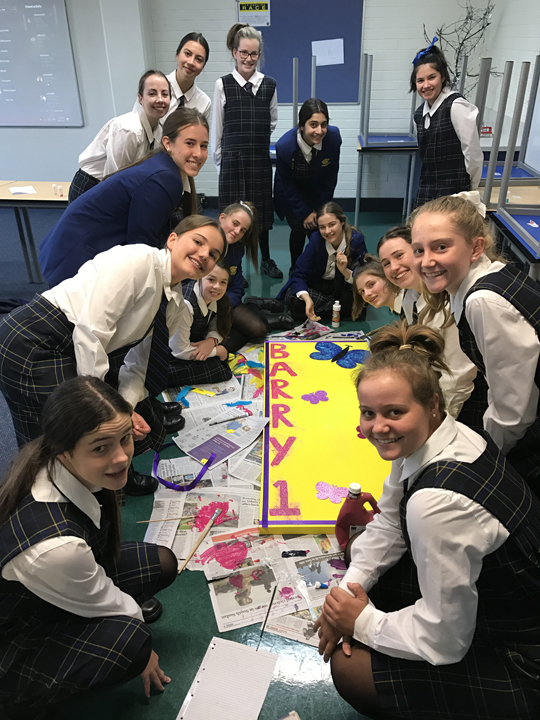 Recently, Barry tutor groups have been designing team banners to represent the unique talents and characteristics of each girl within the House community. This week in House time, the Barry Year 12s ran some fantastic activities that focused on ‘looking out for each other’ and the importance of being kind to others. The girls responded really well and it was wonderful to see the whole House collaborating and celebrating the spirit of Barry and the importance of caring for one another. The induction of a House prayer has also been a beautiful asset to our community – a legacy from our Liturgy Leaders that truly captures what it means to be a part of Barry House. Over the past couple of weeks, I have been involved in the training of ‘Youth Mental Health First Aid’, run by Mental Health Australia and like all physical first aid, early intervention is key. Adhering to the appropriate processes and type of care is vital. This intensive training brought to light some specific and essential tools and resources to help navigate youth mental health issues that are becoming prevalent in our young people. An array of different topics were discussed in the two-day course, ranging from eating disorders, depression, anxiety, psychosis and the detrimental effects of substance abuse on young people. The course highlighted the importance of a strong partnership between the school and home life and the need for this to remain sturdy in a young person’s life. Approach the person, assess and assist with crisis. The course has provided some clear insight into the issues facing our young people at the moment and has allowed for some reflection on my own practice and dealings with mental health issues in the pastoral space here at Loreto Normanhurst. Please see below for some helpful resources available to provide support, guidance and education for both young people and the adults who are caring for them. These resources provide extensive information on a range of different issues and assist with recognising signs and symptoms, as well as effective treatment and management options for mental health conditions in young people. With our hearts open and hands together, we come together to pray as Barry House. Lord, may the individual gifts and talents that you have so generously given us, inspire us to achieve collective greatness by living in faithfulness to God’s call like Mother Gonzaga Barry. In true friendship, may we strive to encourage one another to be people filled with love and compassion to reach our full potential and to be the best people we can be. When challenges arise, may we remember that our strength lies within our unity. Grant us, Lord, the sincerity to accept the things we cannot change, the courage to change the things we can, and the wisdom to know the difference. We pray that we may never fail to live in a spirit of love, remembering that as many hands build a room, many hearts build a House. In this moment, we are thankful that we are able to be a part of something so special and so great. We celebrate our history and anticipate our future. Inspired by the works of Mother Gonzaga Barry who was a woman of courage and forward thinking, Lord, may you ignite the spark that lies within us to touch the lives of others and to manifest your love and grace to all. As one, let our spirit shine through.